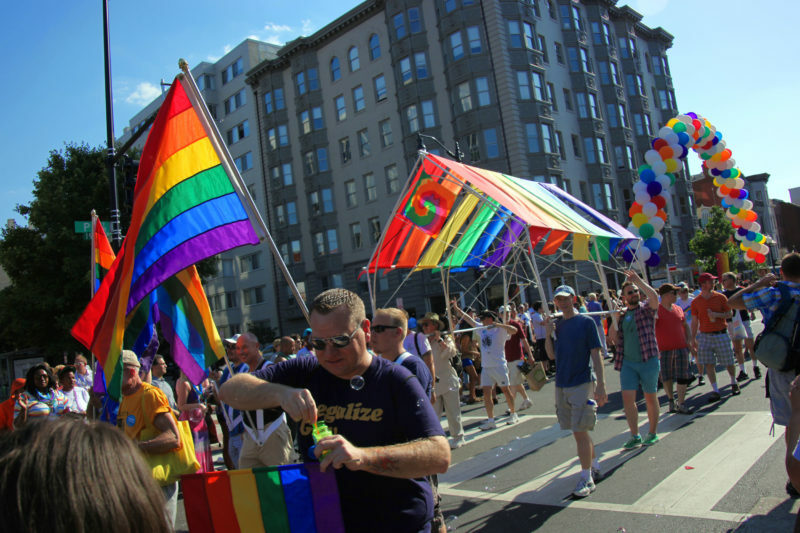 With June being gay pride month, cities across the country are holding gay pride parades. This wouldn’t typically cause any issues with other liberal groups, but surprisingly, that’s exactly what happened with the Washington, D.C. gay pride parade. The parade was ruined and you’ll be shocked to know who the culprit was. The Capital Pride Parade took place on Saturday, organized by the Capital Pride Alliance. But the parade was quickly interrupted by a Black Lives Matter-esque protest group, which tried to put a stop to the festivities. Part of the complaint was that LGBT activists were being “forced” to march alongside police officers — the officers there to keep parade-goers safe — and according to the protesters, police officers are racist murderers. The parade eventually had to be rerouted and eventually was completed. But parade-goers didn’t appreciate the disruption. This is how liberal groups are interacting with each other right now. No wonder the left is in total chaos right now.